This is France's answer to Port, and the absolute best wine to pair with chocolate! A beautiful dessert wine from Rousillon in southwestern France, in the foothills of the Pyrenees near the Spanish border. 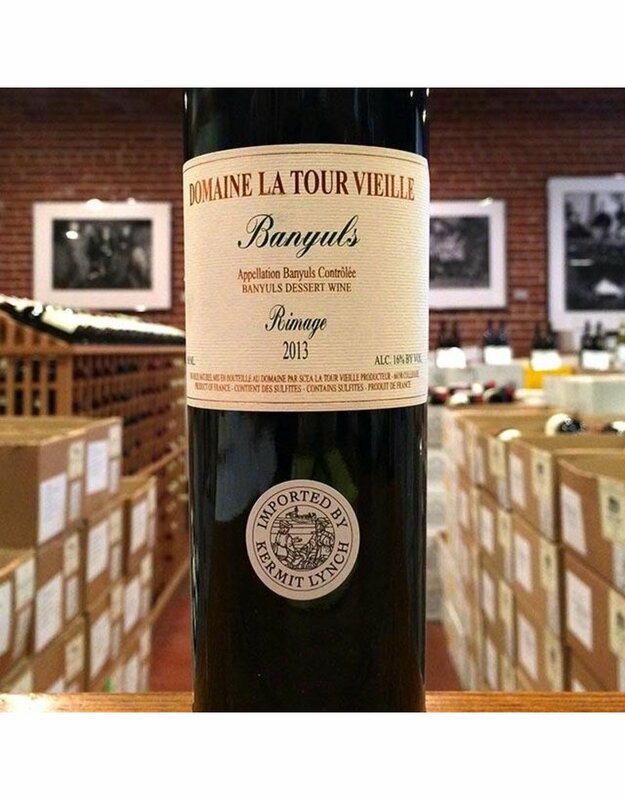 A Rimage Banyuls is a fortified wine in which all grapes come from a certain vintage, much like a or vintage Port. Rich and robust, this is filled with off-dry flavors of coffee, plum tart, cream and coconut with intense blackberry jam and succulent rich flavors. The sweet wine is made in a more modern style, which is fruity and fresh with silky tannins and plummy flavors. This would go phenomenally with chocolate desserts!